Epic grandeur, formal eloquence and a sober intensity are the hallmarks of Old English verse. Anglo-Saxon poetry was produced between 700 and 1000 AD for an audience that delighted in technical accomplishment, and the durable works of Old English verse spring from the source of the English language. Michael Alexander has translated the best of the Old English poetry into modern English and into a verse form that retains the qualities of Anglo-Saxon metre and alliteration. 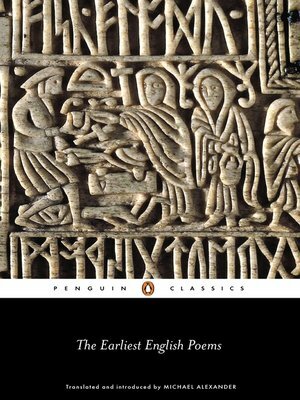 Included in this selection are the 'heroic poems' such as Widsith, Deor, Brunanburh and Maldon, and passages from Beowulf; some of the famous 'riddles' from The Exeter Book; all the 'elegies', including The Ruin, The Wanderer, The Seafarer, The Wife's Complaint and The Husband's Message, in which the virtu of Old English is found in its purest and most concentrated form; together with the great Christian poem The Dream of the Rood.